Located on East Main Street at Cripple Cove, The Ben Smith Playground is a lovely small playground overlooking the water and is wonderful play area for children. The playground underwent a makeover with new playground equipment, a new seawall, benches, and picnic tables You can enjoy watching your children play while at the same time watching the activities in the cove as the playground area in enclosed by a chain link fence. This small park on East Main Street has a few benches on which to sit and to enjoy the workings of the inner harbor. Gordon Thomas Park is great place to enjoy coffee, lunch, or a good book. Located at 71 Middle Street n the heart of Gloucester, this facility offers showers, a pool, workout equipment, racquetball, basketball, and a variety of programs for all ages. For more information about the Cape Ann YMCA, call 978-283-0470. 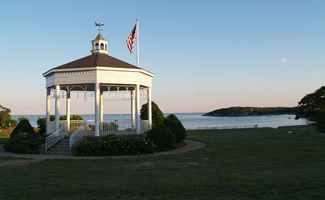 Located at Harbor Loop, Solomon Jacobs Park is adjacent to the Coast Guard Station and is just steps from the Gloucester Maritime Heritage Center. 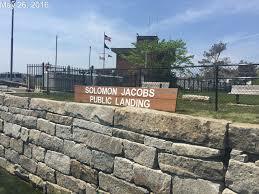 With its benches and a walkway to a public landing, Solomon Jacobs Park is a great place to have a picnic lunch, watch the rowboats, sailboats, kayaks, and other activity on the inner Harbor of Gloucester. This beautiful promenade overlooking Gloucester Harbor is the home of the famous Fisherman’s Monument and Cenotaph, listing all of the Gloucester fishermen who have lost their lives to the sea throughout the City's history as the oldest seaport in the United States. 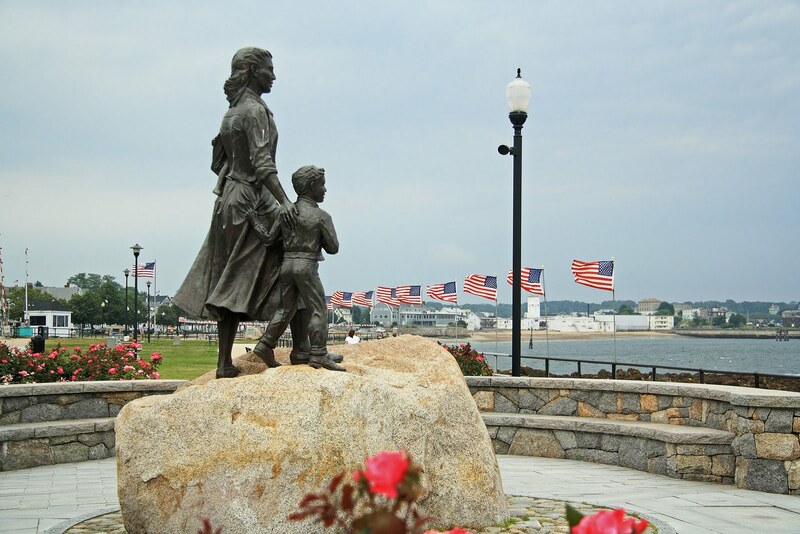 On the westerly side of New England’s busiest drawbridge is the Fishermens' Wives Memorial Statue dedicated to all women and children who wait on the shore for Gloucester's boats to come home from sea. Several benches located all all along Stacey Boulevard welcome people who want to sit and enjoy the ocean. In the spring, several thousand tulips bring color and delight to all who visit. This historic park is the site of Gloucester’s first settlers in 1623 who set up fishing stages on this land upon arrival. Stage Fort Park is home to Half Moon and Cressy’s beaches, with access to a sand volleyball court, a beautiful new playground, a baseball field, a basketball court, and tennis courts. There are plenty of picnic tables and cooking areas (bring your own grill), a privately owned restaurant that is open to the public, an information center, and restrooms. During the summer season, there are outdoor concerts, fireworks, and storytelling events for children, festivals, farmers markets, and several other events. Weddings, large group activities, and corporate outings need to make a reservation and obtain a permit before permission is granted. Wedding permits are available for $250 per permit, group outings for $75 per permit, and corporate outings or other similar activities for $250 per permit. Dogs are allowed in the park but not on the beaches. All dogs must be on a leash and owners must pick up after their dogs. Parking is available at $10 per vehicle on weekdays and $15 on weekends and holidays. There is also a dog park located in the parking lot of Stage Fort Park - for information please visit Gloucester Dog Park's website. Located off of 474 Western Avenue in the Magnolia section of Gloucester, Magnolia Woods Recreational Area is comprised of 25 beautiful acres. Home to Gloucester’s soccer program, it is replete with seven soccer fields and a small softball field. The park is also open to visitors who may want to do some birdwatching, take a hike or go for a nature walk, check out the variety of wild flowers growing in the area, and just be outside. In the winter, people may cross country ski at the site. Future site improvements include additional parking and restroom facilities.